Do your pre-event promotions always pay off? 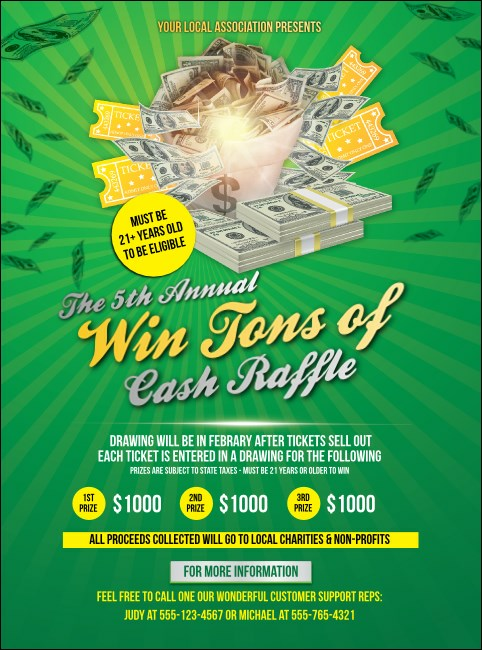 Get results when you print Cash Raffle Green Flyers and post them in advance. This fancy Flyer template features a pretty green background and includes piles of cold hard cash that look ready for the taking. Get the most for your money with over twenty lines of text for all your event details. Make your competitors green with envy at TicketPrinting.com.